qualities of the CAP CAMARAT line. 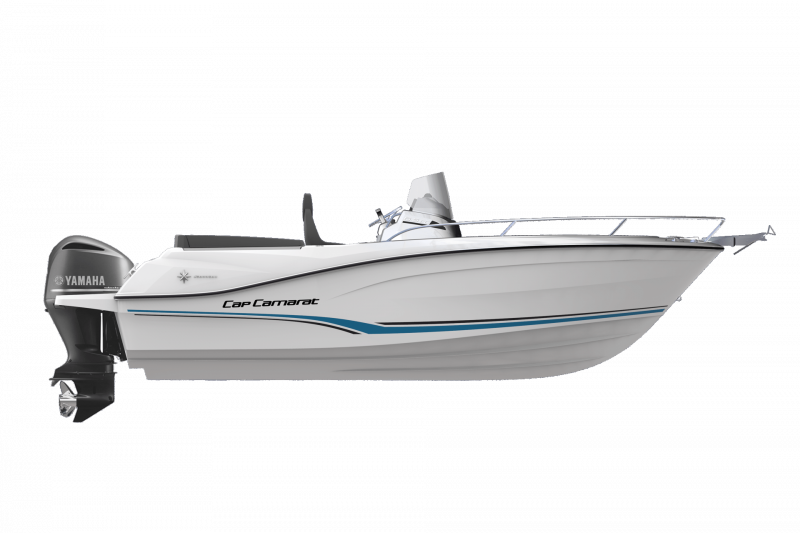 This model features the strong points of the previous generation with the addition of the latest evolutions and innovation. 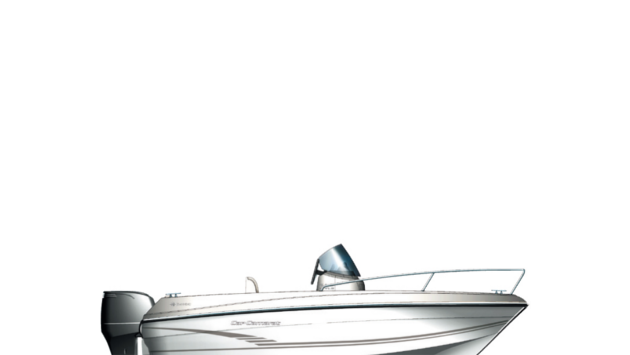 Her entirely redesigned hull is dynamic and powerful. 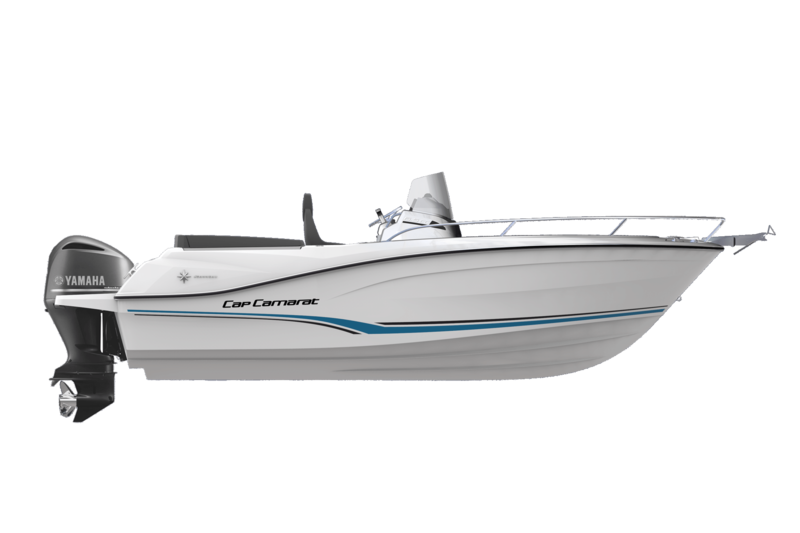 Equipped with 200 HP, the CAP CAMARAT 6.5 CENTER CONSOLE SERIE3 cleverly balances ease of handling, design and comfort on board. 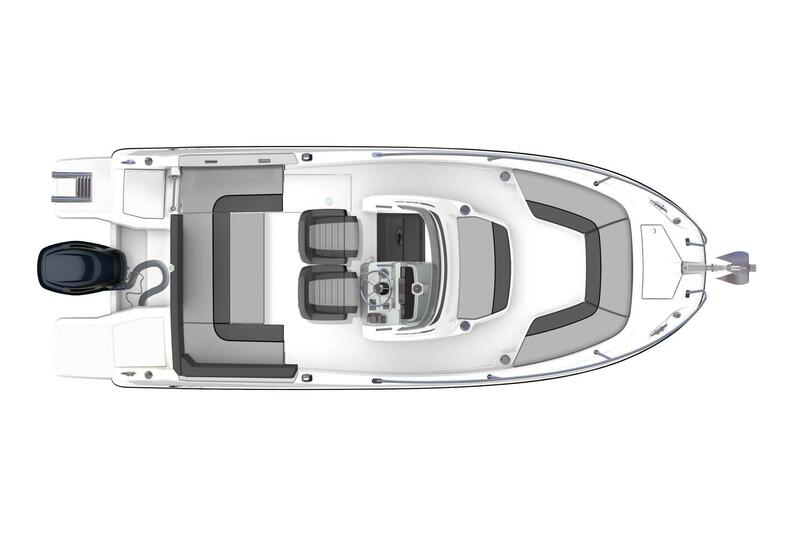 A sporty, family boat by nature, the CAP CAMARAT 6.5 CENTER CONSOLE SERIE3 features a particularly comfortable ergonomic cockpit design. The living space is expanded, with an L-shaped bench seat, contributing to the relaxing and inviting atmosphere on board. With a new design, the dashboard features the latest evolutions of the line. the console! 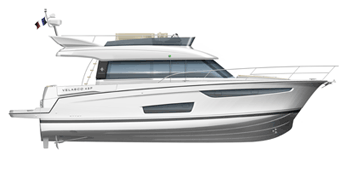 Very large flush swim platforms further contribute to ease of life on board.